If you can spare some room in your perennial garden, a perfect last-minute choice for these cooler days and nights are the late-blooming Sedums. This plant is a perennial camel, adding a hint of texture and color to any border. What I love most about Sedums is their adaptability to heat, drought and are relatively disease resistant. In other words, no headaches for your perennial beds – a no-brainer for the low-maintenance minded gardener. You can find a variety to bloom throughout the growing season; from June until October. There are ground-hugging forms perfect for rock or alpine gardens to the standard forms that reach heights of 2 to 2 ½ feet. Its foliage and texture cover the gamut, making this succulent one to explore and test in your borders. Colors vary from pink, purples, reds, orange, yellows, and chartreuse to various shades of green. Did I mention the variegated varieties? This genus adds oomph to the most difficult of growing conditions. 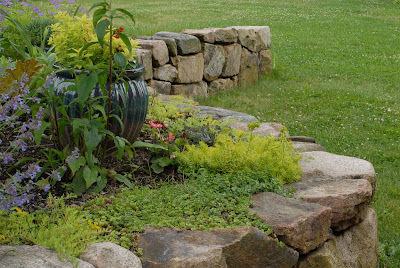 Sedums are a staple species used in green roof applications and coastal landscapes, some of the toughest environments encountered in the plant world. Check out the myriad of choices at your local nursery. Try one or a few Sedums to build a sampler palette. You don’t need lots of the same varieties as these plants are easily divided and spread amongst the garden. 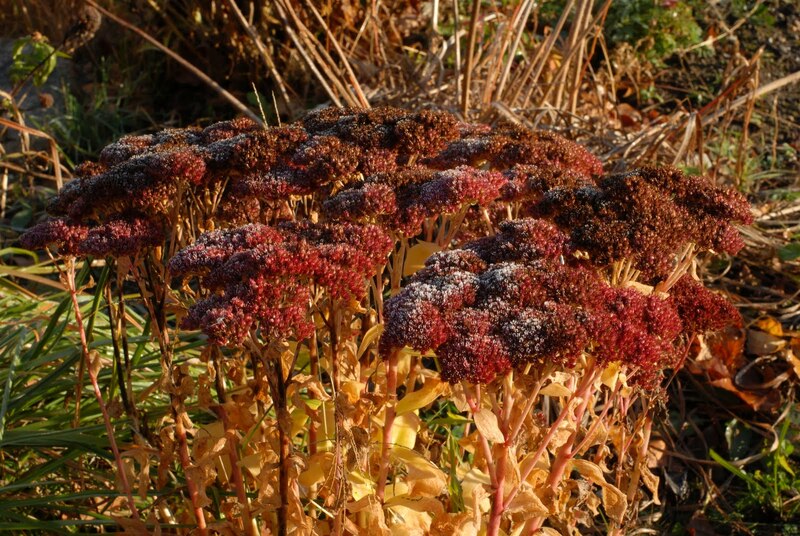 One of the hallmark Sedums that ushers in the fall season is the ‘Autumn Joy’ variety. When I see its pink tones begin to flush, it’s only a matter of days before the mums and pumpkins appear at the roadside stands. 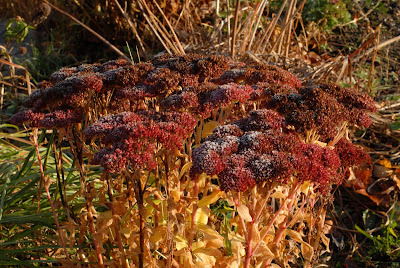 I prefer not to cut back these Sedums after blooming, allowing their seed heads to remain throughout the winter months. They add a chocolate-brown element to the stark winter landscape. But let’s scratch that thought of winter and think about the upcoming Indian summer days that can occur well into November. We end today’s post with Helen Hunt Jackson’s poem, September.